Extra Savings Under the Noël Tent Are Going On Now! Visit us at 2727 SW Freeway and save up to 75% OFF storewide and throughout our amazing storefront Tent! Plus any purchase over $2,500, Noël cover’s your TAX! Don’t forget to visit the Noël Furniture Clearance Center located just down the street on 59 @ Buffalo Speedway. New merchandise arrives daily and marked to sell at clearance prices. 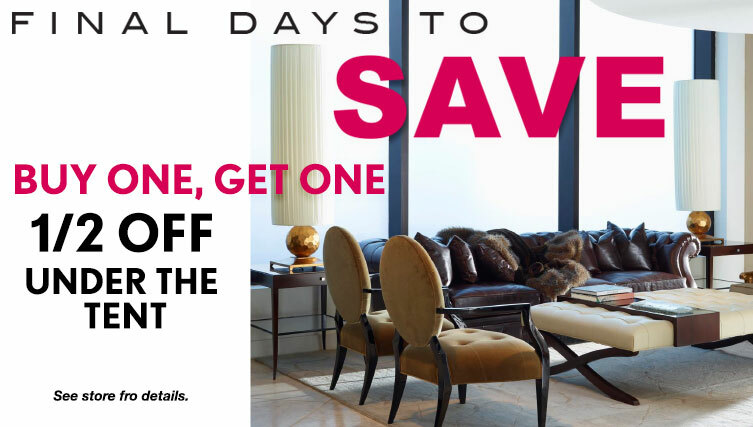 Hurry because The Biggest Sale of the Year Ends Soon! !